Warm Springs Gallery – A fine art gallery dedicated to the promotion of national and international artists. Established in 1995, Warm Springs Gallery is a fine art gallery dedicated to the promotion of national and international artists, providing quality and original artwork to art collectors and art enthusiasts alike. The gallery exhibits a diverse roster of established and emerging artists, representing more than thirty painters whose styles span the spectrum from realism to abstraction, through landscape and still lifes, specializing in Virginia landscape paintings. The gallery also exhibits fine crafts, integrating exquisite sculptural objects in glass, wood, clay, fiber, and bronze alongside two-dimensional works. The gallery’s artists have exhibited widely in museum and gallery contexts and have been regularly included in national or international exhibitions. The gallery hosts a series of one-person and group exhibitions throughout the year and publishes fully-illustrated exhibition catalogues. The exhibition schedule is best characterized by its adherence to a curatorial model, carefully pairing paintings with three-dimensional works. The Warm Springs Gallery is known for delivering the highest quality fine art, at any budget level, for both beginning and seasoned collectors. Our passion for bringing extraordinary artwork into the lives of our clients is achieved with the highest level of expertise and discretion. The gallery’s success can be seen on the walls of private homes and corporations throughout the United States, Canada, and Europe. Warm Springs Gallery hosts 5–6 exhibitions each year that include paintings, sculpture. 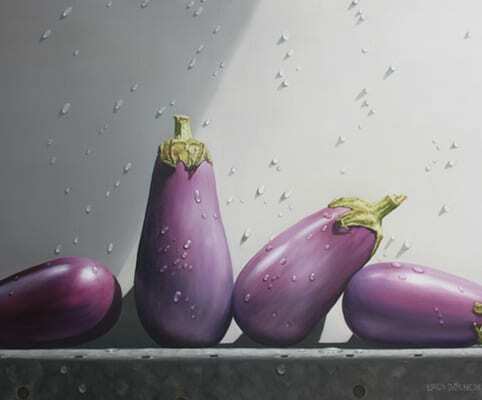 The gallery exhibits a diverse roster of established and emerging artists, representing more than thirty painters whose styles span the spectrum from realism to abstraction, through landscapes and still lifes. 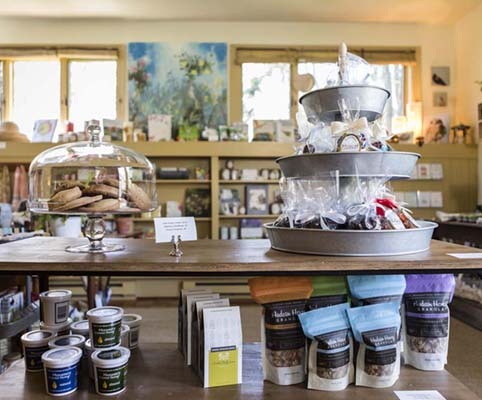 The Garden Room and Café, located above the gallery offers a beautiful array of handmade home and garden décor, gifts, personal care items, stationery, books, and artisanal foods. The Garden Café is closed for the season! Warm Springs Gallery is delighted to announce the Seventh Annual Bath County Plein Air Festival September 30 - October 6, 2019, celebrating the tradition of outdoor painting with some of the finest painters from Virginia and across the country. “A wonderful, sophisticated gallery—not to be missed! In the village of Warm Springs you will find a truly exceptional art gallery. My husband and I have bought several wonderful paintings from Warm Springs Gallery, and we would have bought more if we had more wall space. Barbara Buhr has exquisite and varied tastes, making her gallery one of the very best in Virginia. And now with the addition of the cafe and gift shop, the reasons are multiple to visit Warm Springs Gallery often. The Gallery is closed for the season. For seven days artists will paint picturesque scenes throughout Bath County. Visitors and locals will have the unique opportunity to observe artists as they paint on location.